This beautiful cottage is adapted for wheelchair access. There are three bedrooms, two bath/shower rooms, with level access from the parking area. The garden is approached through level access, and the pavers are arranged - in a hopscotch pattern. Hopscotch has spacious living accommodation with plenty of circulating space. The accommodation in Hopscotch is light and airy, the spacious hall leads on to a twin bedroom on the ground floor, which has en-suite facilities suited to a wheel chair user, and access from outside via a ramped walkway. The living room is very large with a cosy wood burning stove, dining area at one end, and the well equipped kitchen adjacent. French doors lead out on to the terrace which has level access, modified garden furniture, barbecue and washing line. There is an additional downstairs toilet. 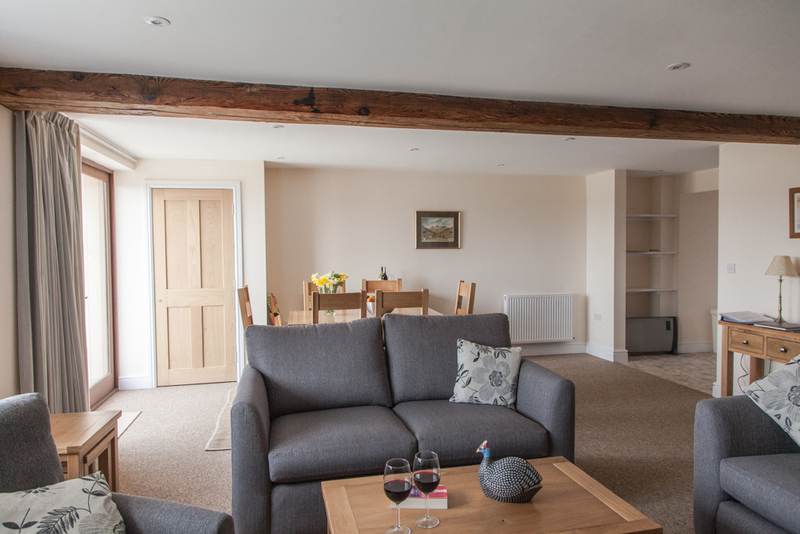 Upstairs are two further double bedrooms, with views over the farm fields. The family bathroom is on this level which also has a large separate shower. 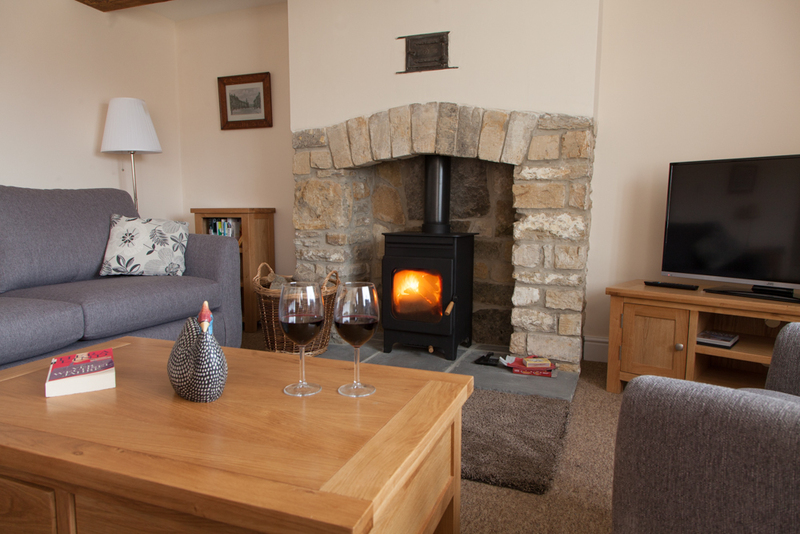 Hopscotch is fully centrally heated and has WiFi and Broadband access.